Japan's defense ministry is seeking a $48 billion defense budget to defend against potential ballistic missile attacks from North Korea, including long-range missiles and interceptors. 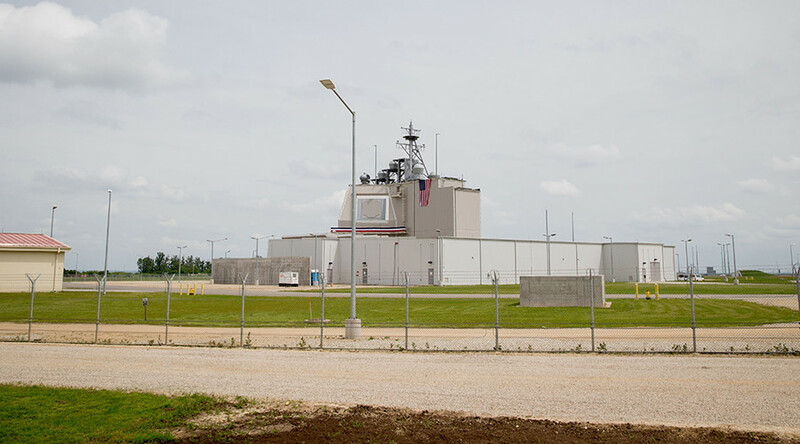 “Based on North Korea’s nuclear and missile developments reaching a new level of threat [the ministry] will initiate equipping with a new asset,” the budget proposal states, as quoted by Stars and Stripes. The requested budget for 2018 would amount to 5.26 trillion yen (around $48 billion) and represents a 2.5 percent increase from last year. 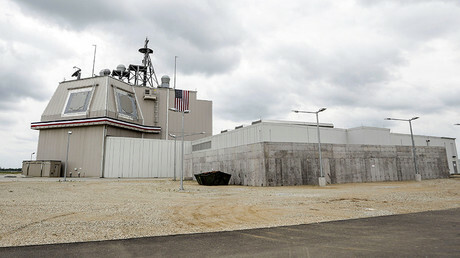 Among the weaponry wish list, Tokyo plans the purchase of a land-based anti-missile system known as Aegis Ashore, according to The Japan Times. The ministry, though, did not specify how much money would be needed for that. Tokyo is also considering an option of the Terminal High-Altitude Area Defense (THAAD), according to AP, with officials saying they will make a final decision later this year. A total of 47.2 billion yen (US$427.2 million) would go towards acquiring a SM-3 Block IIA interceptor missile, which the defense ministry say will boost Japan's defense capabilities and improve its ability to shoot down a ballistic missile launched into space on a steep "lofted" trajectory. Around 20.5 billion yen ($185.4 million) would go towards an upgraded version of the current Patriot Advanced Capability-3 anti-missile system, with greater ability to down cruise missiles and jets. Other budget allocations would go towards assembly costs associated with maintaining the US-made Global Hawk reconnaissance aircraft; two compact destroyers; a new lithium battery-powered submarine; and six F-35 stealth fighters to be deployed at Misawa in northern Japan. Japan's defense ministry says the planned upgrades are designed to improve the country's response capability to unexpected and simultaneous missile attacks, including ones on a lofted trajectory. The move has been questioned by China, however, which Tokyo sees as another security concern. "We think Japan is obliged to explain its real intention to the international community," Chinese foreign ministry spokeswoman Hua Chunying told a regular news briefing Thursday. The budget request will now go to the Japanese finance ministry for further examination before being submitted to Parliament for approval. If approved, the defense budget request – which is for the year starting April 1, 2018 – would represent the sixth straight annual defense spending increase for Japan. Japan's record defense budget request comes after North Korea launched a missile over Japan Tuesday. The projectile flew about 1,700 miles (2,735km) and reached a height of 341 miles (548km), according to South Korea's military. It later broke into three pieces before falling into the Pacific Ocean, according to Japanese media. Japanese Prime Minister Shinzo Abe called the missile firing an "unprecedented, grave, and serious threat." 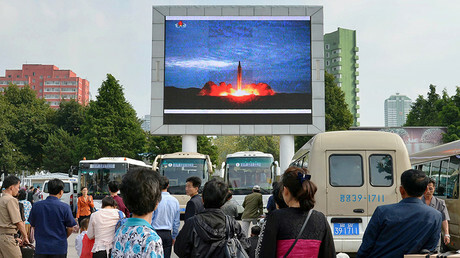 Following the launch, Tokyo and Seoul agreed to ramp up "maximum" pressure on Pyongyang by seeking tougher sanctions. Abe held a 40-minute call with US President Donald Trump following Tuesday's launch. During the call, Trump said the US was "100 percent with Japan," Abe told reporters after the conversation. Trump also responded to the launch by saying that "all options are on the table." The US president also tweeted Wednesday that talking "is not the answer" when it comes to Pyongyang. The Chinese foreign ministry cautioned all parties the very next day, saying the Korean issue is serious and not a computer game, Reuters reported, citing spokeswoman Chunying. Hours after the launch, North Korea accused the US of driving the Korean peninsula towards an "extreme level of explosion," and said it is justified in responding with "tough counter-measures." 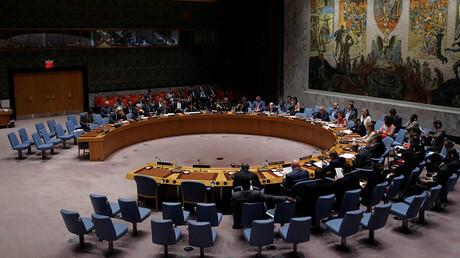 "Now that the US has openly declared its hostile intention towards the Democratic People's Republic of Korea, by waging aggressive joint military exercises despite repeated warnings... my country has every reason to respond with tough counter-measures as an exercise of its right to self-defense," Han Tae Song, North Korea's ambassador to the UN in Geneva told a UN Conference on Disarmament. Han was referring to the joint US-South Korean drills, the most recent of which began last week. Beijing has warned that tensions on the Korean peninsula are at a "tipping point" and "approaching a crisis," urging all sides to avoid further provocations. China, together with Russia, recently drafted a "double freeze" strategy which would see North Korea suspend its missile launches in exchange for a halt in joint US-South Korea military exercises. The plan was swiftly rejected by the US, with State Department spokesperson Heather Nauert stating earlier this month that the "so-called double freeze, that's not going to change. We're allowed to do it (exercises). We're allowed to do it with our ally, South Korea. We will continue to do that and that's just not going to change."